The Junior League of Portland’s Freeze Out Hunger gala shows the power of a group of leaders to address community needs. 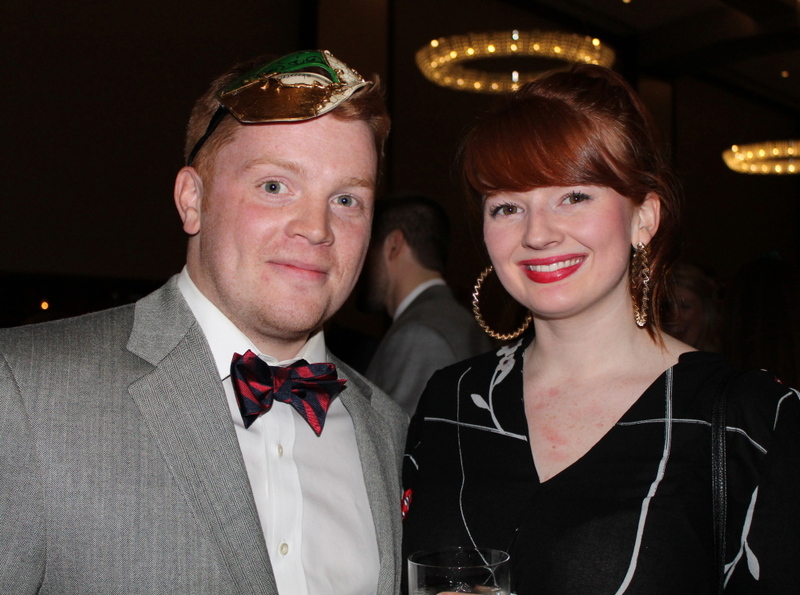 “It’s awesome!” exclaimed Kate Anderson, board member of the Junior League of Portland, surveying the crowded ballroom at the Westin Portland Harborview Hotel as the 6th annual Freeze Out Hunger gala got into full swing. 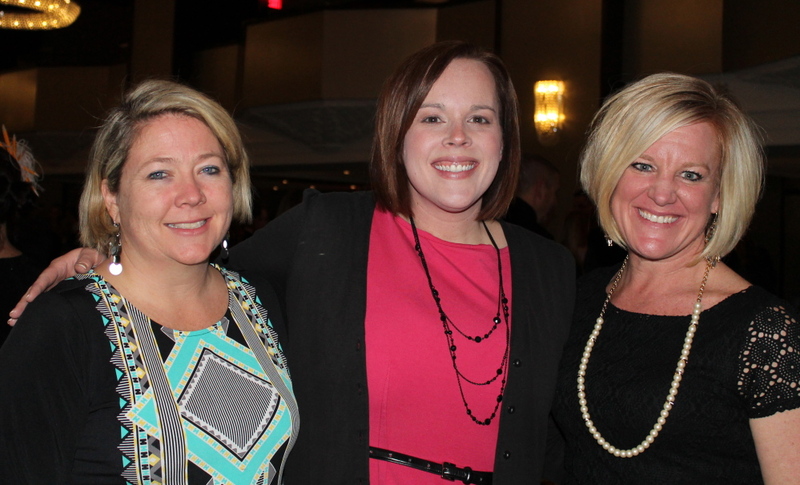 Junior League board member Kate Anderson, left, with Laura Heckman of Unum and Amy Cunniffe of Lincoln Financial Group. Lesley Clunie, left, Victoria Hartig of the University of New England and Belle Bocal get into the spirit of the League event. 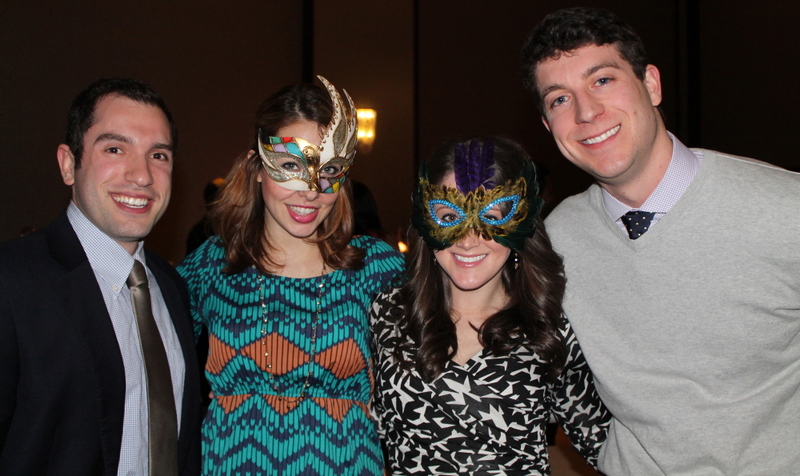 Jim Rockafellow of Strategic Media enjoys the masquerade gala with Annie Znamierowski of Cashstar in Portland. It’s true. One quick glance at the sea of party-goers suggested a roomful of dynamic, accomplished women getting things done. Jackie Real, a Babson graduate from Boston who recently moved to Maine to start her own fashion line, is a potential new member of the Junior League. She struck up a conversation with Susan Guimond, a past member of the Junior League and administrative coordinator for the nonprofit WinterKids. Katie Clark, senior research manager at Diversified Communications and vice president of public relations for the Junior League (and one of five Google Glass wearers in Maine), joined her husband Darren in stopping to listen to Kim Block of WGME-TV welcome the crowd and make her own observation, “Let’s face it, there are a lot of great women in this room!” as she introduced Sandy Couch-Kelly, the Junior League’s president. “We do make outstanding community leaders,” Couch-Kelly agreed as she took the stage to thank sponsors and the Greater Portland community for rallying around the Junior League. 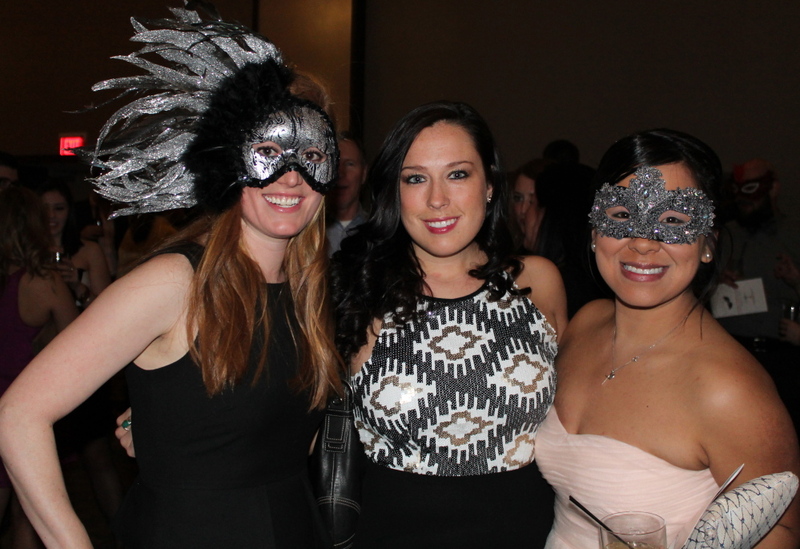 Victoria Hartig, marketing manager at the University of New England and a new member of the Junior League, joined Belle Bocal, Web specialist on the PR committee, and Lesley Clunie, chair of the annual event committee, who donned dramatic masks in keeping with the masquerade theme. The Junior League has spent the last six years working with the Good Shepherd Food Bank to address hunger in Maine, most notably helping to launch the BackPack Program in 2010, which provides children in need with food to eat over weekends and school vacations when they might otherwise have none. 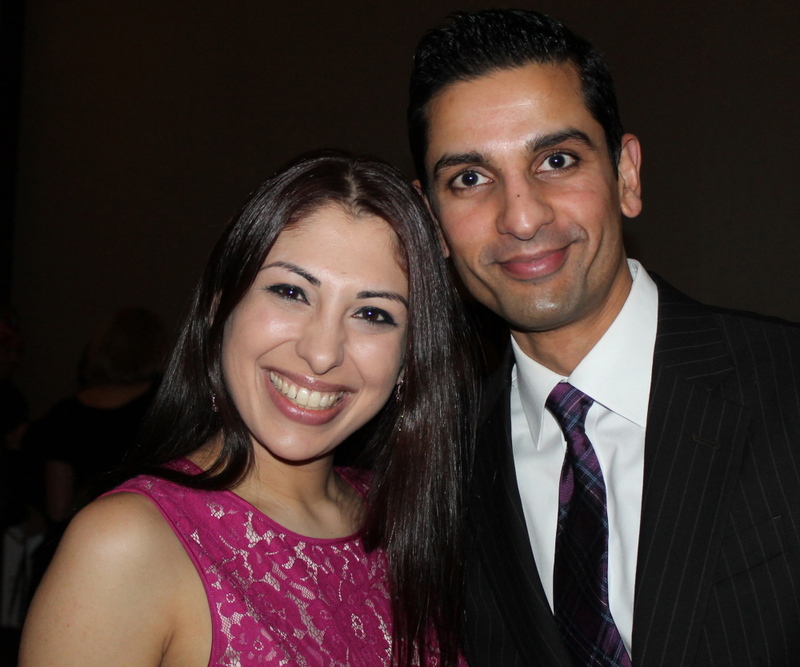 Shikha Vasaiwala, a media specialist for the Junior League, was joined by her husband, Dr. Samip Vasaiwala, a cardiologist at Maine Medical Center.